Multimodal therapy is the combination of several types of treatments to fight cancer. It has been shown to lead to the best possible life expectancy for mesothelioma patients. Multimodal therapy is the use of a combination of several types of treatment methods such as chemotherapy and surgery to fight mesothelioma. Not only can it increase a patient’s quality of life, but it can also increase the patient’s odds for a full recovery. There are currently three types of surgery to treat mesothelioma including the extrapleural pneumonectomy (EPP) and pleurectomy with decortication (P/D) for pleural mesothelioma, and the cytoreduction with HIPEC procedure for peritoneal mesothelioma. Surgical treatments are always improving and are now commonly used in conjunction with chemotherapy and/or radiation therapy for improved results. Most commonly combined with surgical treatment, chemotherapy is typically used for all mesothelioma patients, both pleural and peritoneal. 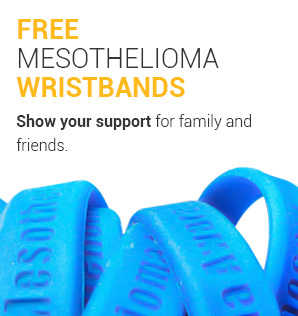 It is now offered before, during, and after surgery for mesothelioma. Radiation therapy is beneficial for patients in more advanced stages of cancer, although it is used in all stages of mesothelioma. It is most often used after a pleurectomy with decortication (P/D) surgery to ensure all malignant cells are killed off. In clinical trials, novel treatments are also used in multimodal therapy. These treatments range from intraoperative photodynamic therapy to immunotherapy combined with chemotherapy. Apart from surgery, chemotherapy and radiation therapy are the most well-known treatment methods for patients with cancer. These traditional treatment methods given separately were mainly used for palliative purposes, but multimodal therapy is showing more promise. Typically, chemotherapy is only about 40% effective for mesothelioma patients. However, with the introduction of new chemotherapy drugs like Avastin (Bevacizumab) and more advanced ways to administer treatment, patients and their families have been given more optimistic outlooks. One of the best developments in treating mesothelioma with multiple modes of therapy is the use of different types of chemotherapy. Neoadjuvant chemotherapy is administered prior to surgery, whereas adjuvant chemotherapy is given after surgery. The idea behind neoadjuvant therapy is to shrink any tumors before attempting surgery. Therefore, the chemotherapy is administered with the intention of having a future surgical procedure. Patients that undergo a chemotherapy regimen prior to surgery often have an improved prognosis and are more likely to achieve the complete resection of diseased tissue. 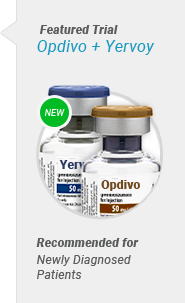 Adjuvant chemotherapy is used to destroy microscopic cancer cells that doctors were unable to remove during surgery. Sometimes, adjuvant chemotherapy is replaced with adjuvant radiation therapy, especially in patients who undergo a pleurectomy with decortication. 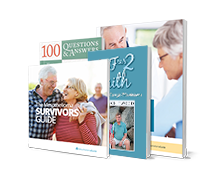 Dr. Kenneth Rosenzweig, a specialist in this field, conducted a study in 2017 which concluded that the median follow-up for patients was 24 months for those who underwent both the P/D surgery and intensity modulated radiation therapy (IMRT). 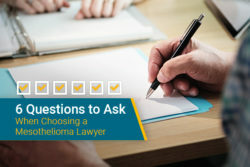 Depending on the diagnosis, a mesothelioma specialist will decide whether adjuvant chemotherapy or radiation therapy is more appropriate for the patient. One study of 1,000 patients with malignant peritoneal mesothelioma, showed that those who had intraoperative cytoreductive surgery with HIPEC had a median survival of 29.4 months with 32% of patients living for longer than 5 years after surgery. Survivors like Alexis Kidd have this treatment to thank for their recovery. Although there are still those in the medical community who are critical of the procedure, the success rates and life expectancy are constantly improving. Dr. Paul Sugarbaker’s late brother, Dr. David Sugarbaker, also used intraoperative chemotherapy in patients with pleural mesothelioma after having an extrapleural pneumonectomy (EPP) providing patients with longer survival and recurrence time. For those who opt for the alternative to the EPP, pleurectomy with decortication (P/D), intraoperative radiation is used to kill remaining cancer cells, as well as intraoperative chemotherapy. 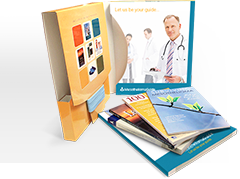 Get connected with top specialists using our free Doctor Match program. Survivor Alexis Kidd was underwent cytoreductive surgery with HIPEC performed by Dr. Henry Zaleski. 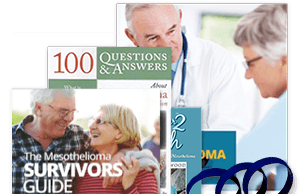 There are a few novel treatments available to patients with mesothelioma, all of which have shown great promise when used in multimodal therapy. With the incidence of mesothelioma expected to rise in the coming years, it has started a new push to develop more effective techniques to treat this aggressive cancer. Immunotherapy is the process of using a patient’s own immune system to fight cancer. One of the most promising immunotherapy drugs currently in clinical trials is called Pembrolizumab (Keytruda), which is part of a new class of immunotherapy drugs called checkpoint-inhibitors. Keytruda is an anti-PD-1/PD-L1 drug, meaning when it is introduced to the body the proteins attach themselves to specific antigens found on the surface of mesothelioma cells which signal the immune system’s T cell response, killing the mesothelioma cells and shrinking the tumor. In a trial conducted in 2017, 25 pleural mesothelioma patients were given Keytruda every two weeks for a two year period. Of the original 25 participants, 14 of them saw measurable tumor reduction. On average, patients went six months without any tumor progression, with an overall survival rate of 18 months. Keytruda is now being combined with chemotherapy for treating mesothelioma in clinical trials in the hope that researchers will see more promising results. 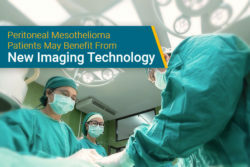 Photodynamic therapy has been around for decades but has only recently been shown to be successful in treating epithelioid mesothelioma. PDT, as it is also often referred, uses chemicals known as photosensitizers to find and attach to proteins on the surface of malignant cells. Once cells have been treated with a photosensitizer, laser light is focused on the cancerous tissue causing the photosensitizing drug to react with oxygen in the body and kill the cells. One of the top mesothelioma specialists, Dr. Joseph Friedberg, from the University of Maryland Medical Center, has been at the forefront of PDT research. According to a study conducted by Dr. Friedberg, his technique involves the combination of a radical pleurectomy, which is the complete removal of the pleura, and the PDT procedure. The results of this study, which was concluded in 2008, showed that sparing the lung by using the extended pleurectomy with decortication (EPD) procedure and following up with PDT dramatically increased the patients’ life expectancy. 97% of the 38 patients diagnosed with stage III/IV mesothelioma in the study who underwent the EPD surgery, followed by the PDT, experienced macroscopic complete resection of their cancer. Life expectancy shot up to 31.7 months for all patients; 41.2 months for epithelial, 31.7 months for epithelial involving the lymph nodes (N2), and 57.1 months for epithelial patients whose lymph nodes were minimally affected (N0/N1) by cancer. In a follow-up study from 2013 recruiting patients with only epithelioid histology, the life expectancy for patients with stage III/IV mesothelioma, which had not yet affected their lymph nodes, experienced a median survival of 87 months when treated with the EPD, PDT, and systemic chemotherapy. Having a multimodal treatment plan is possible regardless of a patient’s mesothelioma type or stage. 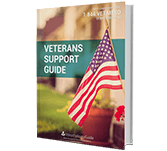 Using several treatments together could mean the difference between living for only a few months or for several more years. 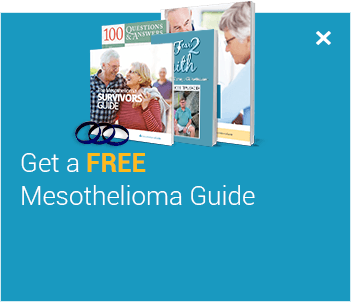 Find out more about the multimodal treatment methods mesothelioma survivors have used in our free Mesothelioma Survivor’s Guide. Cytoreductive Surgery and Hyperthermic Intraperitoneal Chemotherapy for Malignant Peritoneal Mesothelioma. Journal of Clinical Oncology. Retrieved from: http://ascopubs.org/doi/abs/10.1200/jco.2009.23.9640. Accessed: 10/10/18. Neoadjuvant Chemotherapy Followed by Extrapleural Pneumonectomy in Malignant Pleural Mesothelioma. Journal of Clinical Oncology. Retrieved from: http://jco.ascopubs.org/content/22/17/3451.full. Accessed: 10/10/18. Pembrolizumab (Keytruda) 5-10-2017. FDA. Retrieved from: https://www.fda.gov/Drugs/InformationOnDrugs/ApprovedDrugs/ucm558048.htm. Accessed: 11/13/18. Malignant pleural mesothelioma: adjuvant therapy with radiation therapy. US National Library of Medicine National Institutes of Health. Retrieved from: https://www.ncbi.nlm.nih.gov/pmc/articles/PMC5497112/. Accessed: 11/13/18. Cytoreductive Surgery and Hyperthermic Intraperitoneal Chemotherapy for Peritoneal Surface Malignancy: Experience with 1,000 Patients. US National Library of Medicine National Institutes of Health. Retrieved from: https://www.ncbi.nlm.nih.gov/pmc/articles/PMC3965636/. Accessed: 11/13/18. Intraoperative adjuncts for malignant pleural mesothelioma. Transnational Lung Cancer Research. Retrieved from: http://tlcr.amegroups.com/article/view/14047/11623. Accessed: 11/13/18. Improved Outcomes with Modern Lung-Sparing Trimodality Therapy in Patients with Malignant Pleural Mesothelioma. Journal of Thoracic Oncology. Retrieved from: https://www.jto.org/article/S1556-0864(17)30213-7/fulltext. Accessed: 11/13/18. Last Edited: November 13, 2018.